The Kingfishers went back to our favourite Western Hills for a progression up the Mt. Faber slopes for an hour of solid workout. 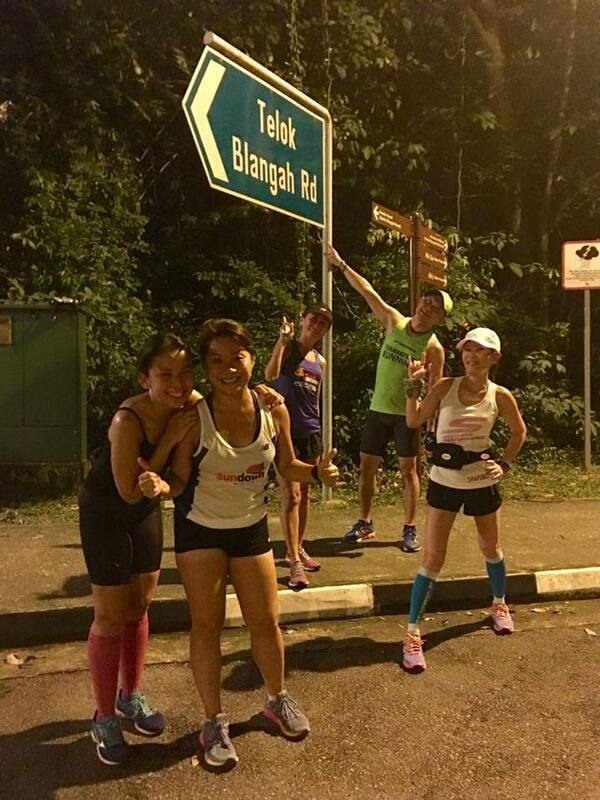 A 2km run up to Mt. 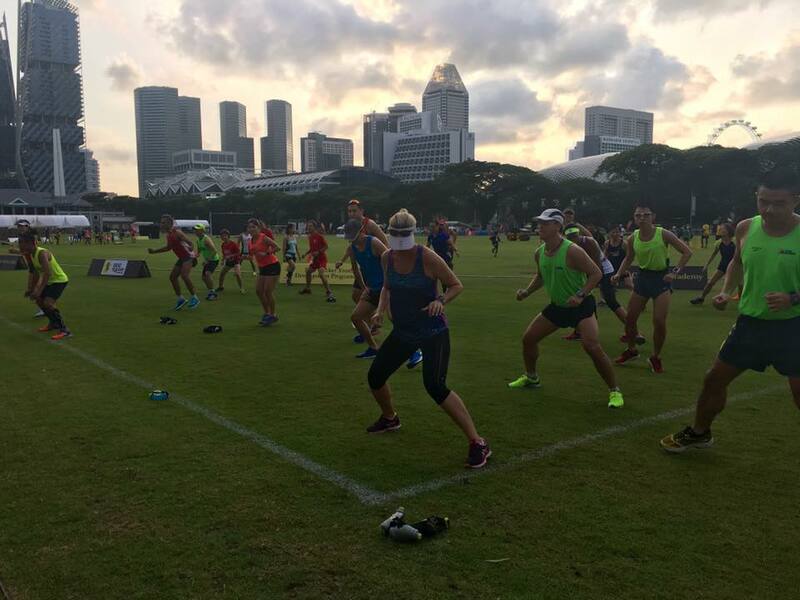 Faber set the stage for the evening’s workout, with some activation drills at the Car Park holding area for the 1.6km MF Loops. 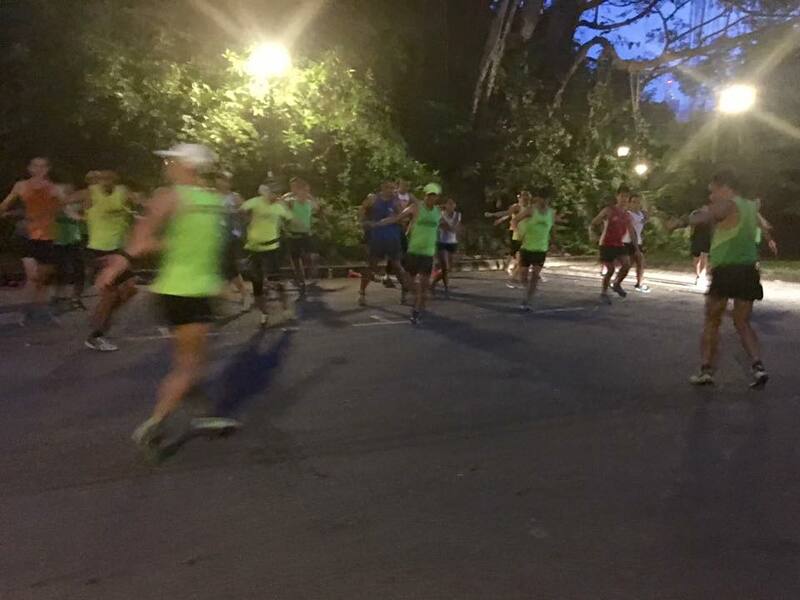 The target set for the night was a minimum of 4-6 loops for the respective pace groups, with some bodyweight exercises thrown in for good measure in between loops. When the hour was up, all Kingfishers were back looking stronger than when they had started, evident that they worked hard (up the hills) and smart (down the slopes) to pace themselves well in terms of intensity and attention to safety. 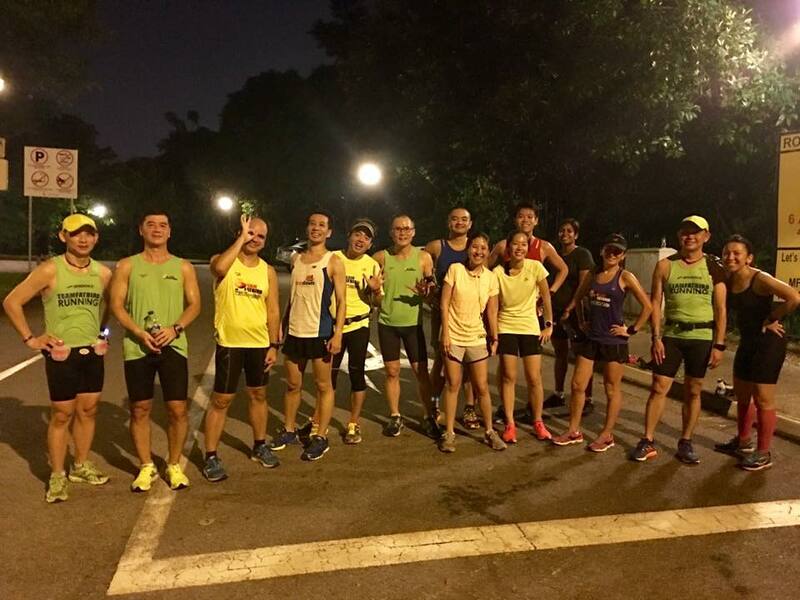 With the main menu wrapped up in good form, the reward was a shorter run back to the start point at Labrador Park MRT for a good stretch out to wind down the evening. 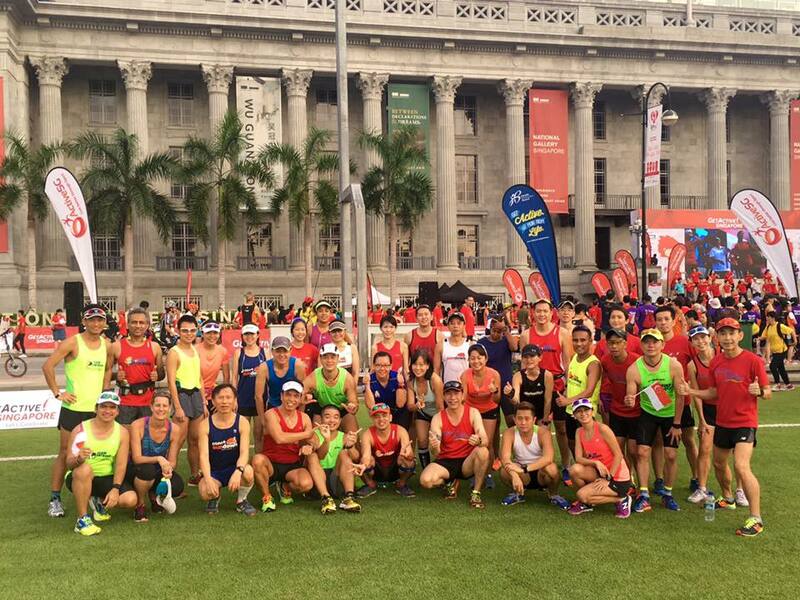 For the weekend menu, the Kingfishers were taken down to the heart of the City District to join in the CarFreeSundaySG flag-off. 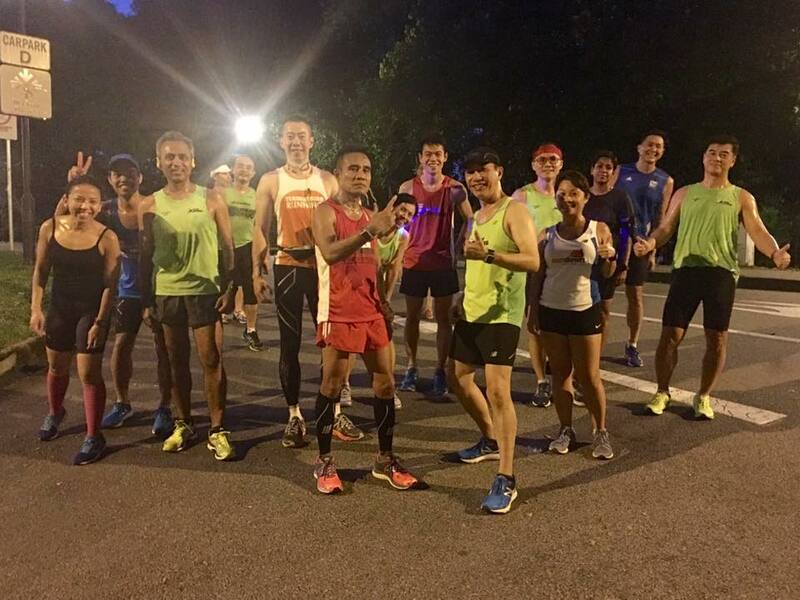 With the host of activities in front of the National Gallery, the Kingfishers were pumped up to do the menu of 4 x 4.3km tempo intervals dished out. The hot and sunny weather due to the later than usual flagoff provided good conditions for some heat training. 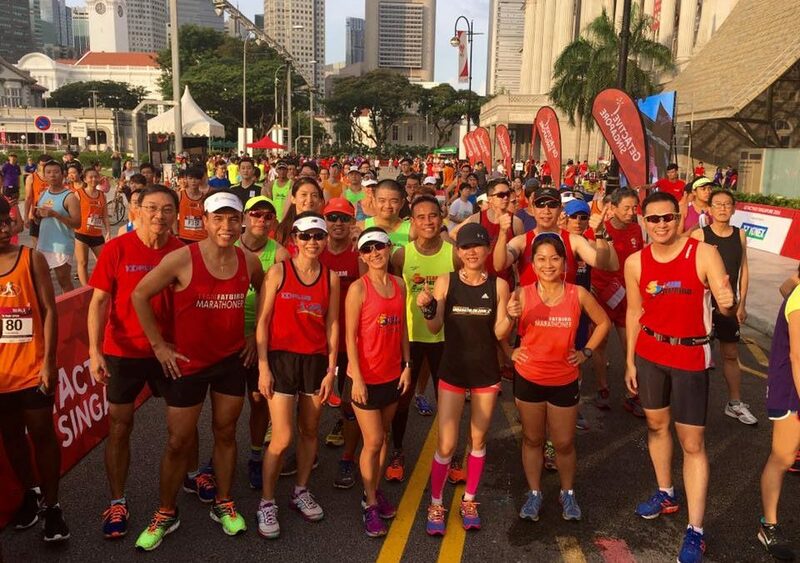 The Kingfishers maintained Marathon Pace well for the first 2 loops of 4.3km before finding the challenge of the final 2 laps more demanding. Most of the i-Runners who were part of our flagoff group did 1-2 loops before calling it a good workout morning. The Kingfishers had most of the roads (bar the cyclists) to ourselves for the 3rd and 4th loops, requiring us to maintain the target pace which we mostly did. 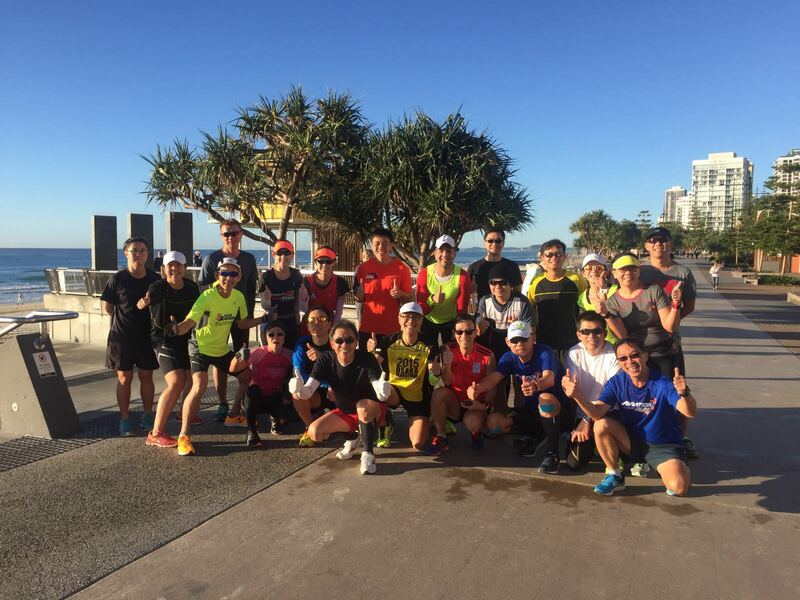 The whole training was completed by 9:45am with a stretch down conducted in the cooler comfort of shade on the opposite side of the start point. 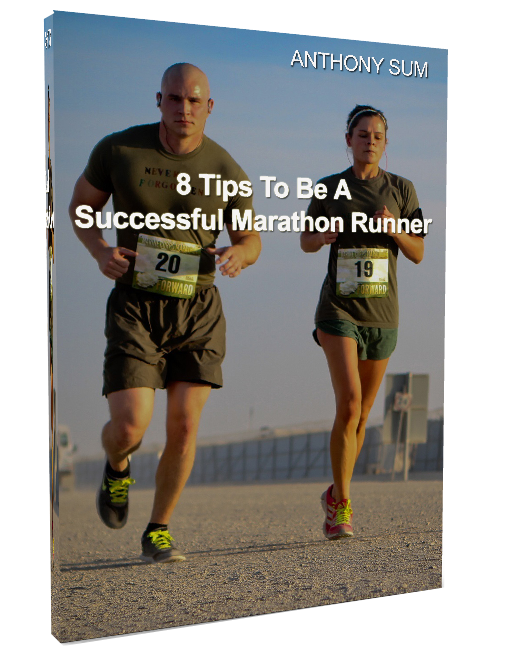 The sun was beating down merciless by then, and any lesser runner would have wilted in the searing heat. 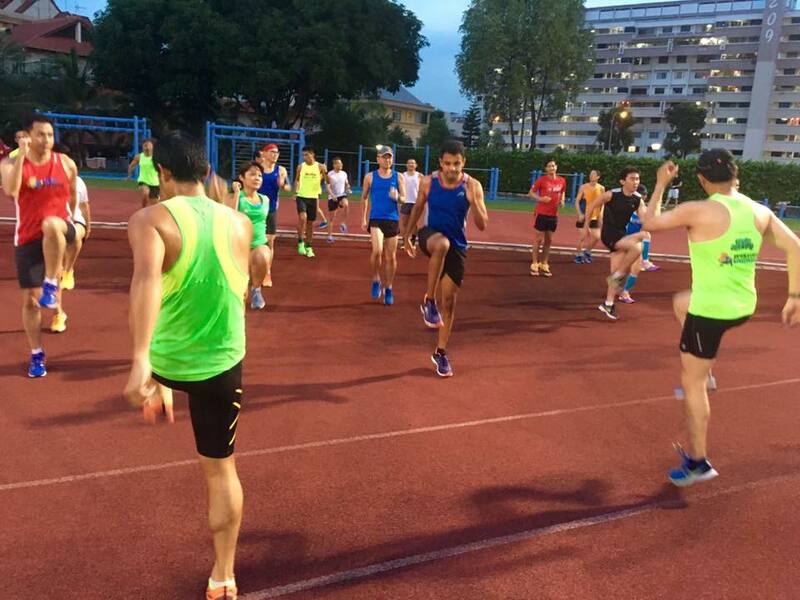 The Kingfishers topped the tempo intervals and heat conditioning workout! 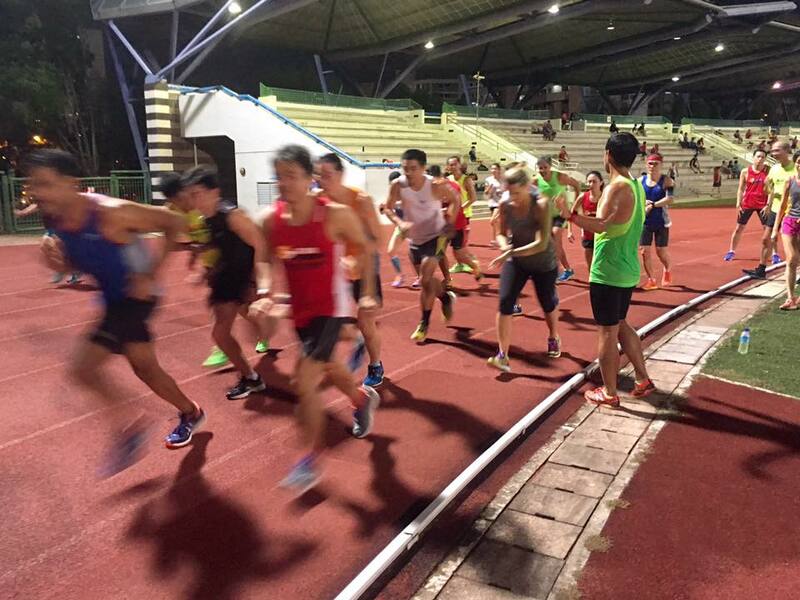 Ops Kingfisher Week #2 had the Kingfishers launched their first track attack at the Stadium. 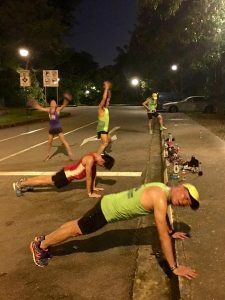 For a number of Fatbirds who have experienced Team FatBird’s speedwork sessions in the past, it was a refresh of the great moments of past. 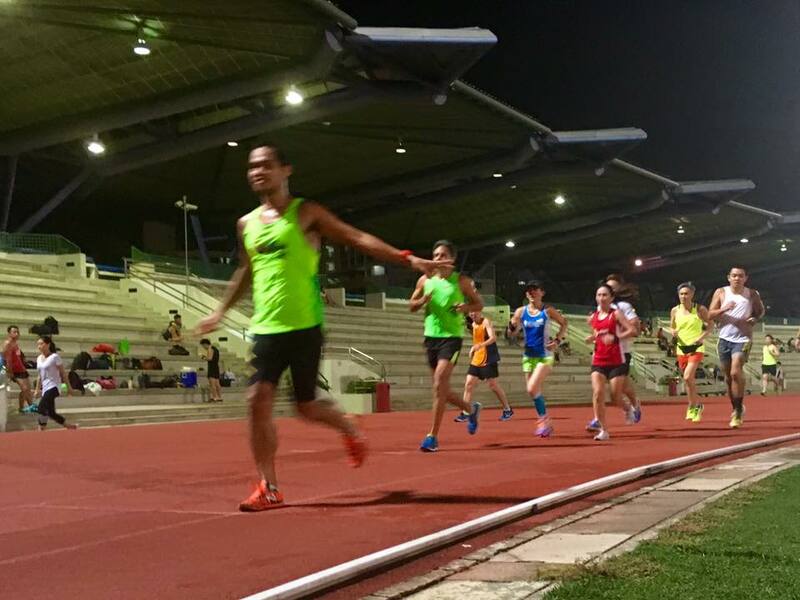 The trainees new to trackwork were just thrilled to be running about in the track in a structured fashion led by experienced Kingfisher Pacers. After a quick warm up and some activation drills, the Kingfishers established their speedwork base with a mile (1.6km) time trial. 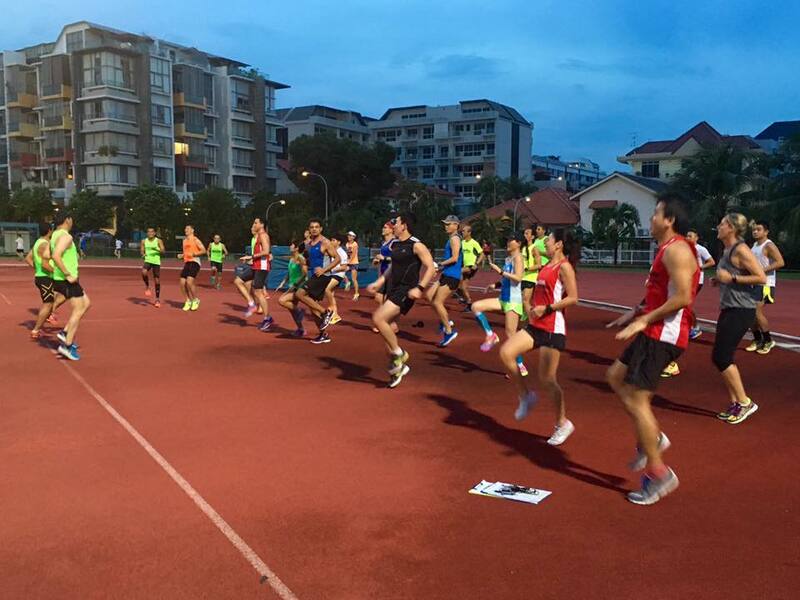 Their mile timings will be used as a guide to their paces for respective 400m and 800m interval sets, as well as set a reference point to determine speed improvements in the following weeks. 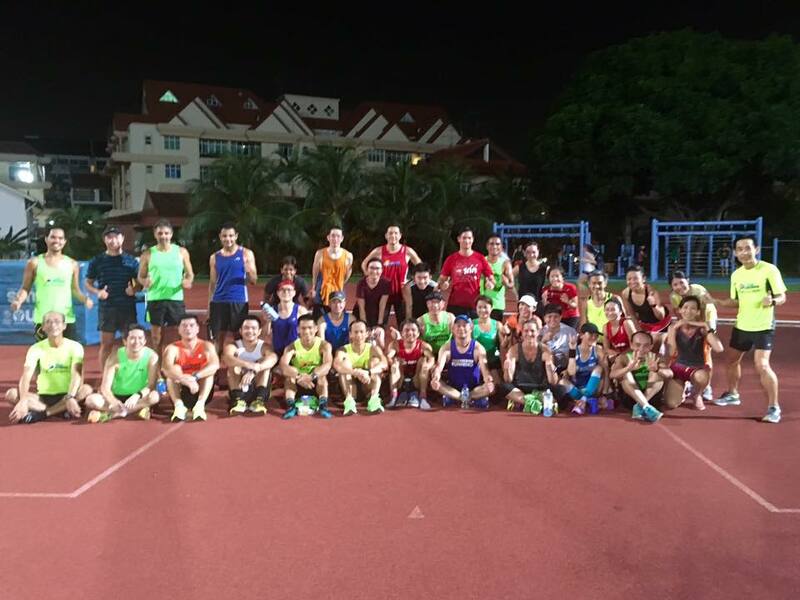 The main menu of 4 x 800m sets were executed with great enthusiasm under the guidance of the group pacers. 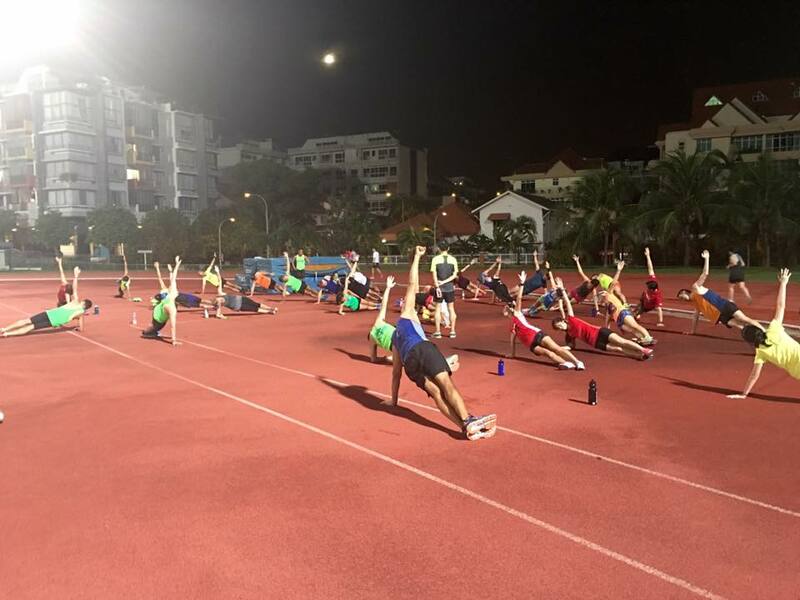 This was followed by 3-4 sets of 400m with shorter work:rest ratios which served to enhance the cadence as well as stride length, taxing the trainees’ fast-twitch muscles for growth and development. 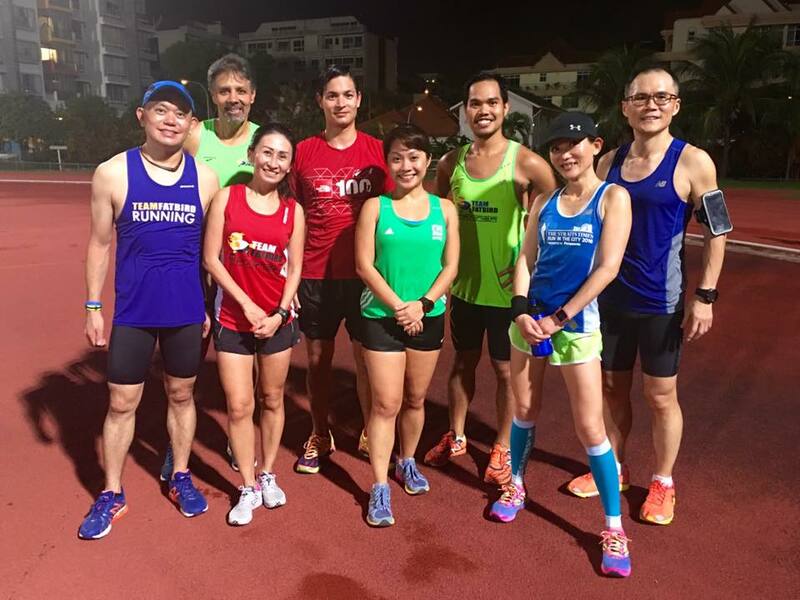 There were many other runners of the public using the track, and a number of them joined in the fun chasing some of the Kingfisher groups for that added motivation. 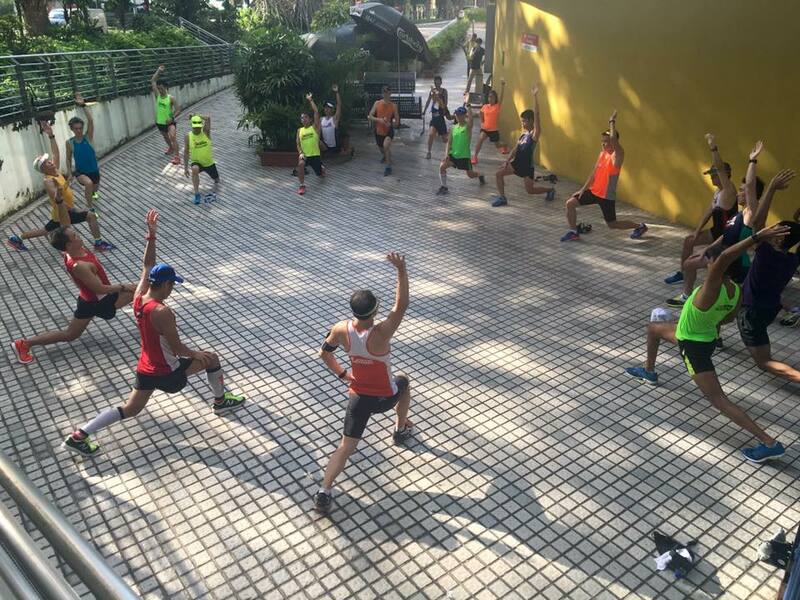 We completed the whole workout within 60min, and this was followed by cool-down stretches and core-work led by the Kingfisher Trainers. 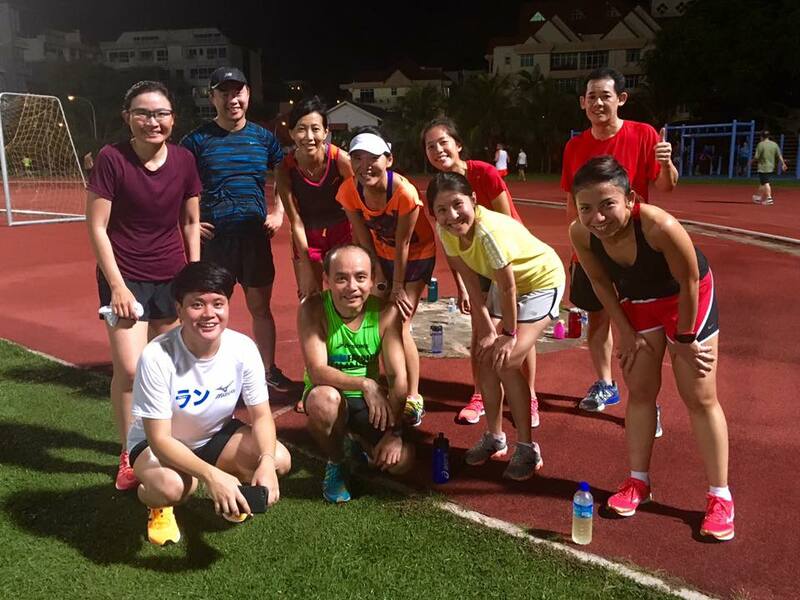 Training concluded at 8:45pm, leaving some time for the runners to share their experiences and feelings about their first track session with Team FatBird, and it seemed all enjoyed the hard workout thoroughly. As they left the stadium, the Kingfishers were already looking forward to their next track session in a fortnight. Meanwhile, it is back to the hills for next week’s Wednesday session. 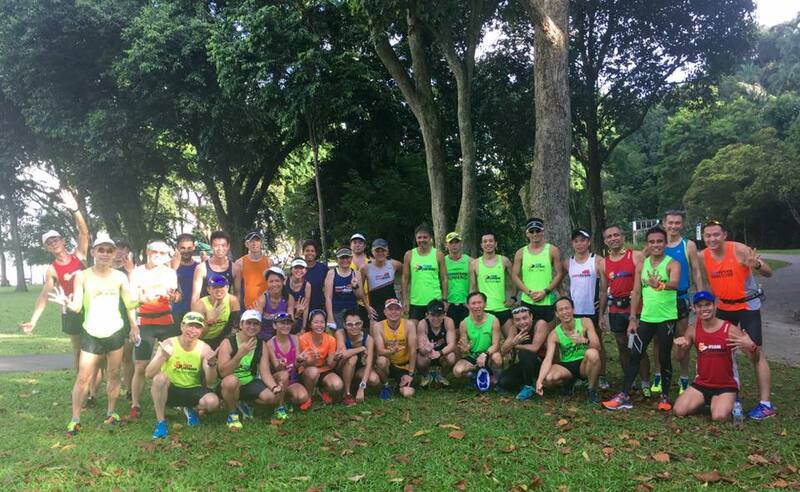 The weekend Long Steady Run (LSD) was a snappy menu of thriller hills at the Labrador Park 1.2km circuit. 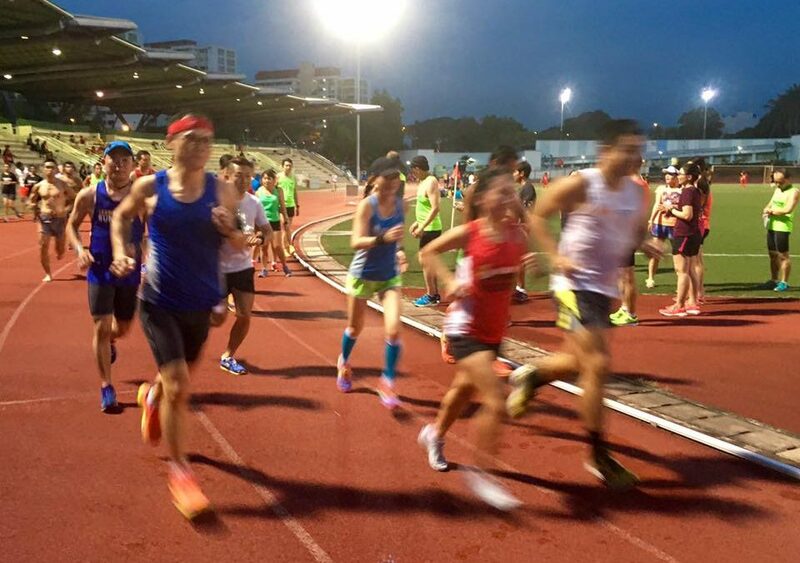 After a dynamic drills warm up, the Kingfishers proceeded on a 4km run at BaseBuild Pace and the respective Pace Groups led their runners on a 4-5 lap around the rolling hills circuit. It is always a love-hate challenging workout at the Labrador Hills segment, but the satisfaction of completing the required laps more than make up for the huffing and puffing, along with the ‘heavy legs’ feeling when climbing the double slopes. 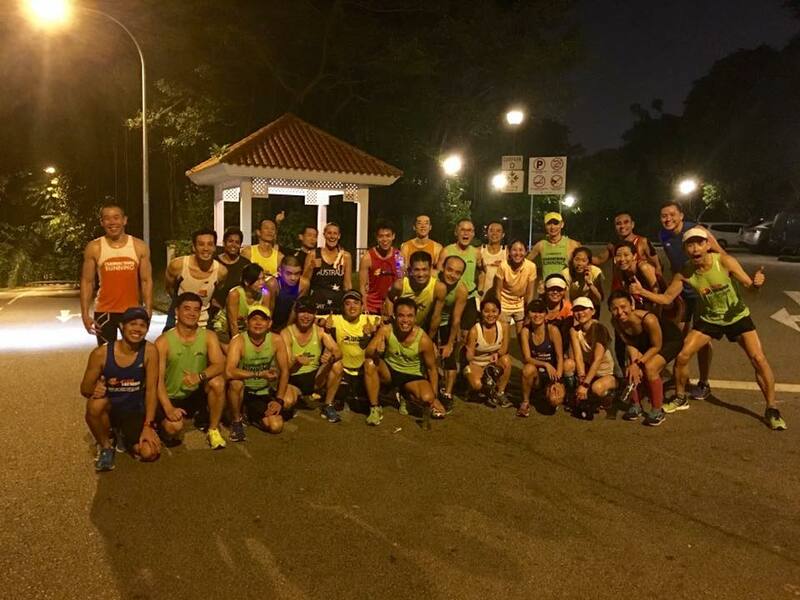 After the completion of the menu, we ran a shorter 3.5km back to SAFRA MF, with a good push atthe final 1.5km up along Henderson Road for good measure. 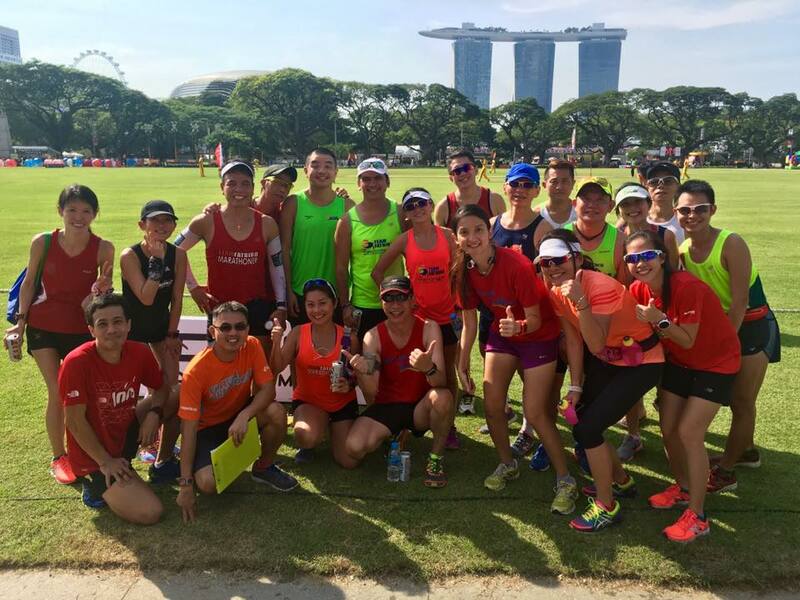 The training rounded off with a good stretch down and ended off at 9:45am, to the delight of all the Ops Kingfisher participants. When the challenges get rough, the Kingfishers get tough! 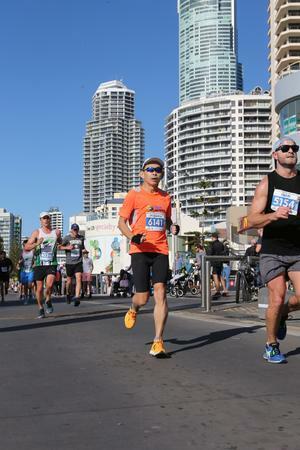 My best marathon timing at the Gold Coast Airport Marathon (GCAM) was set in 2011, at 3:38h and in 2015 last year, I completed the full distance in 3:39h. 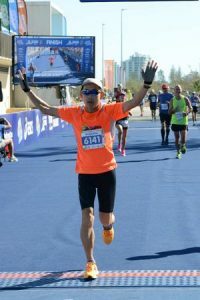 My goal of breaking my all-time marathon Personal Best (PB) was finally achieved at GCAM 2016 with a time of 3:24h and earning my 3rd Boston Marathon Qualifier (BQ) in the process. 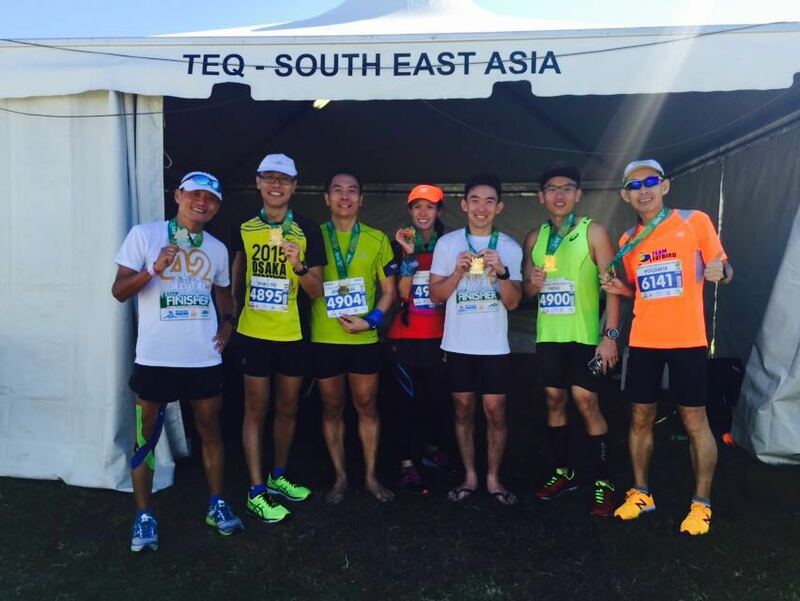 This is the 6th year since Team FatBird started to work with Tourism and Events Queensland (TEQ) and Scenic Travel to grow the Singapore runner base to GCAM as well as to offer a structured training program to prepare our runners for the race. 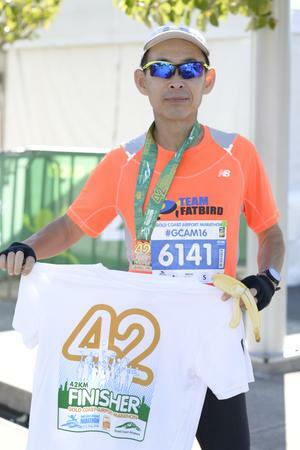 I am happy to announce that we had an overwhelming number of Kookaburra and Team FatBird trainees who achieved huge PBs with a couple of BQs to boot in the 2016 race which happened just last weekend. 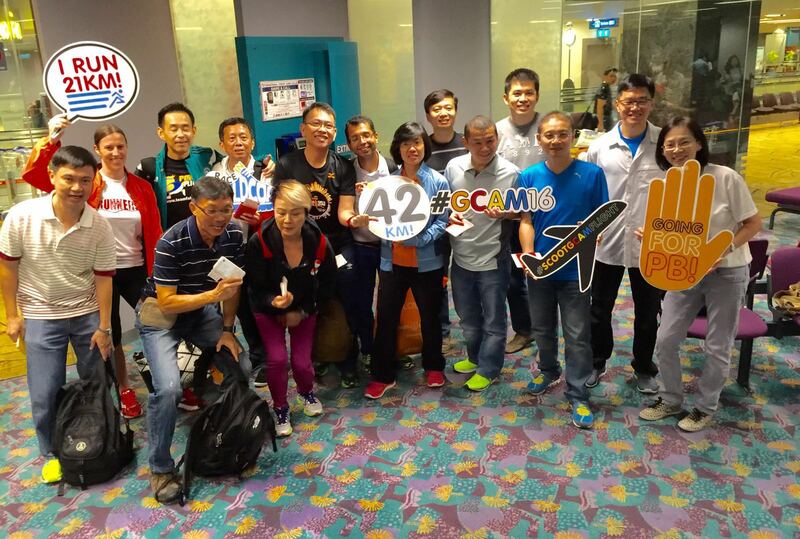 After 12 weeks of training and preparations for GCAM, our team departed on Thursday evening on Scoot (which had the majority of passengers being participants of GCAM16) for Gold Coast with some fanfare and games at the waiting lounge. We landed on Friday and was whisked off for lunch before visiting the Race Expo, where our race packs had already been picked up by the thoughtful Scenic Travel agents. 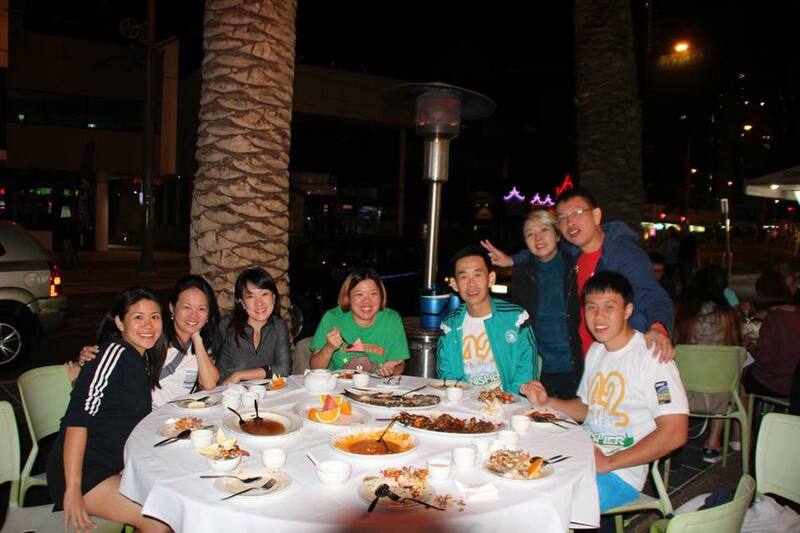 A welcome carbo-loading seafood dinner was provided on Friday evening to stock up on reserves. 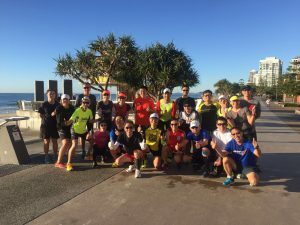 We conducted a shakeout ‘conditioning’ run on Saturday morning along Surfer’s Paradise which was well attended by about 20 of our team members. 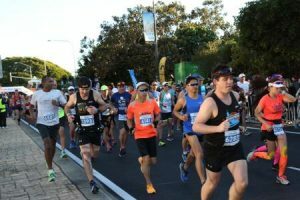 We did a 5km run donning our race-day gear and running at target marathon pace to get a good sense of what to expect the following race morning. 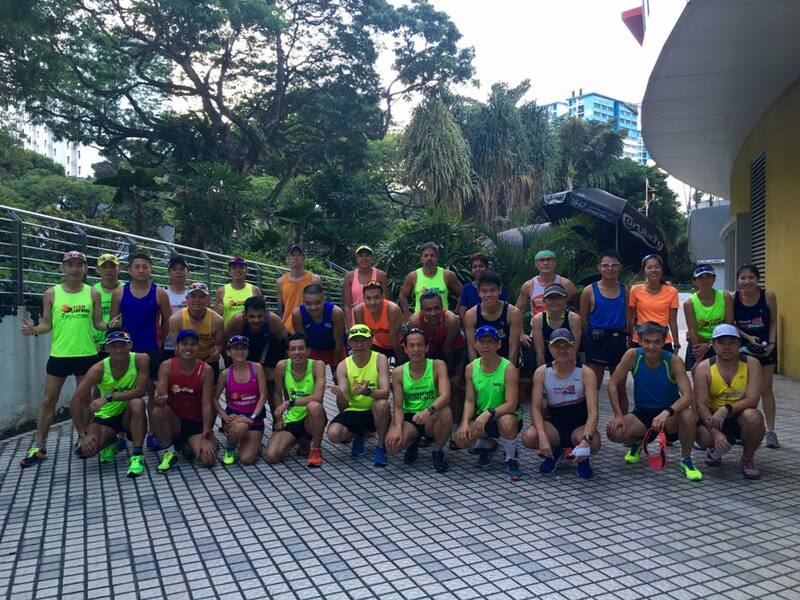 The weather was great and spirits were high among all runners who did the conditioning run. The rest of Saturday was spent chatting and resting around in anticipation of the race. We arrived to race precinct at SouthPort on the free coach transfer provided by Scenic Travel and was led to the hospitality tent where we took shelter from the chilly morning and have group photos with Borobi (Commonwealth Games 2018 mascot). Final fuel-up and preparations were completed by 6:50am before we proceeded to our respective start pens. After my baggage drop, I entered Corral A (for sub 3:00h-3:30h runners) and waited among the not-too-crowded pen area for race start. 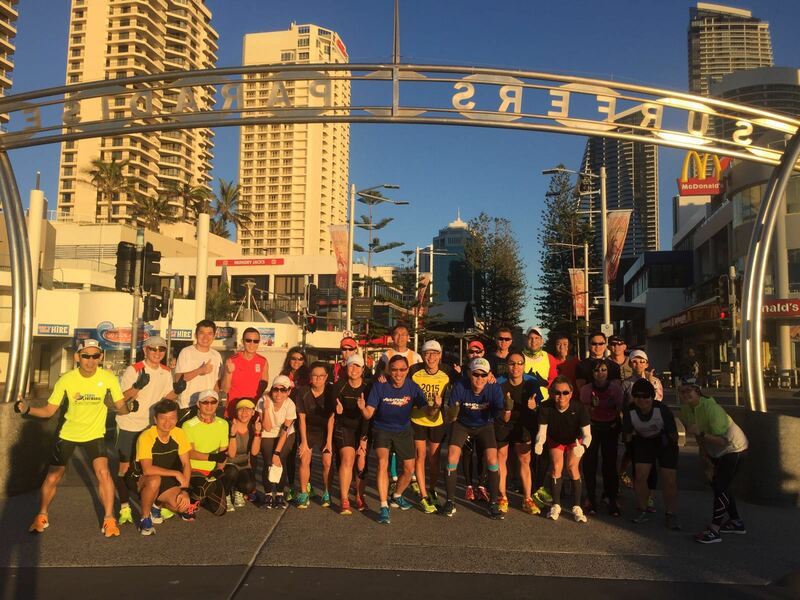 With the completion of the National Anthem of Australia, the marathon race started promptly at 7:20am. The air was cool at about 12C then, with the sun’s rays already beating down in the near horizon. 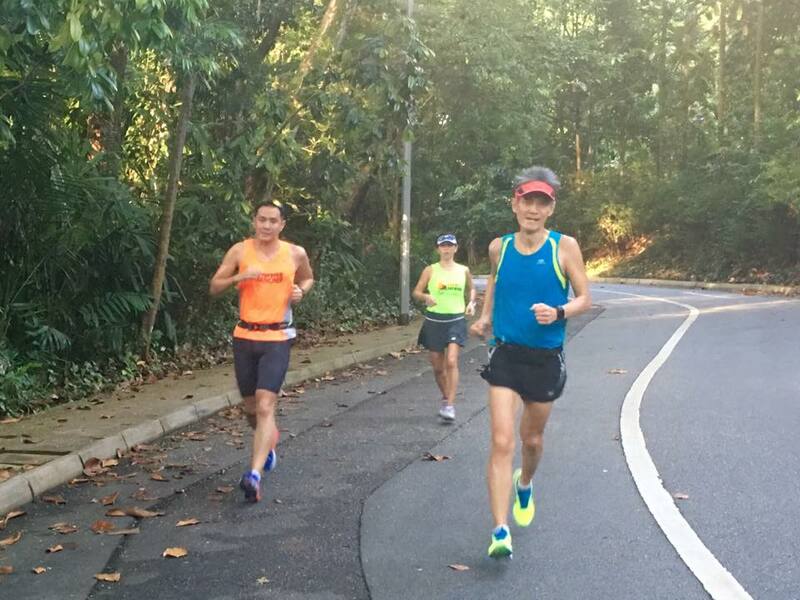 After about 1km of about 5min/km pace, I moved gradually to 4:45min/km and maintained it comfortably from there. With the ample number of water points (every 2.5km), I left my hydration belt at the hotel and just brought my Nathan pouch of some gels and electrolyte tabs. 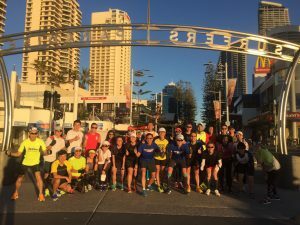 As we ran along the coastline at Surfer’s Paradise and into the neighbourhoods, the crowd support was spontaneous and encouraging. 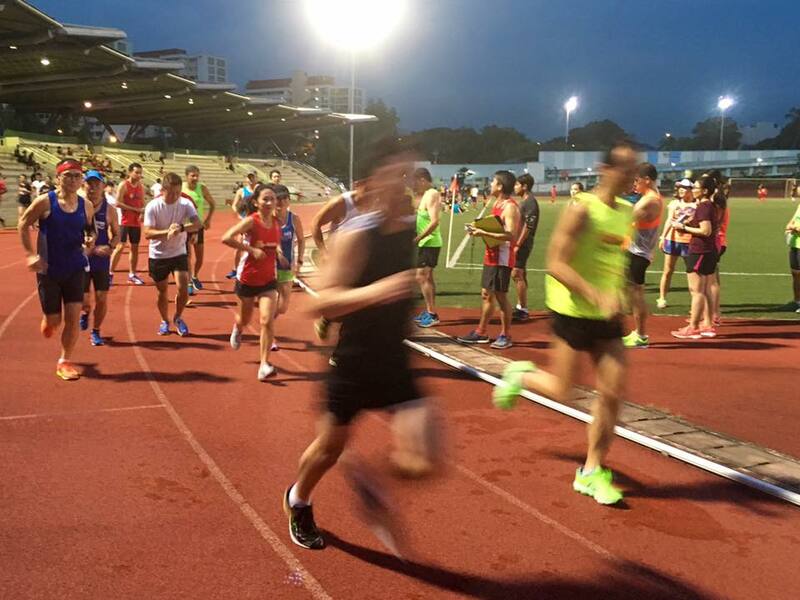 The atmosphere was highly motivating as always running the GCAM. I crossed the 10km mark in about 48min, doing a body sense that all was on track. 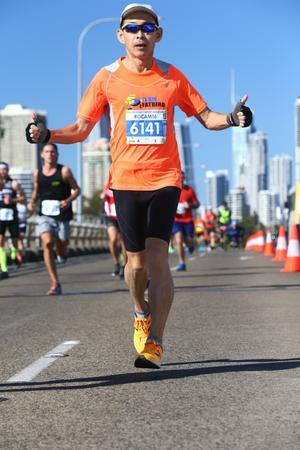 I straddled between the 3:30h and 3:30h Pacers and was just feeling comfortable running among the runners, who maintained very good paces themselves. 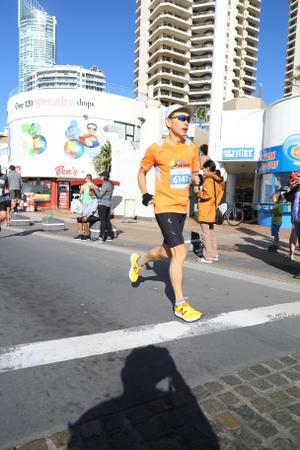 I popped a gel at the 15km U-turn point and continued on with my target pace. On the other side of the road were runners from the 3:30h-4:00h-5:00h runners running by with a few friends shouting my name as they passed. 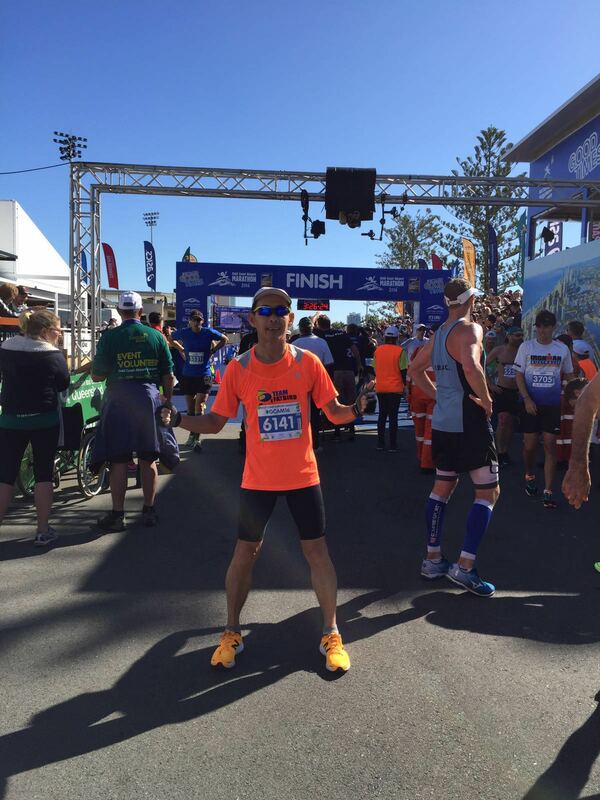 I was feeling good and was just hoping to get to the mid-point before deciding if I was going to go for my PB. I reached the HM mark in 1:42min feeling strong. 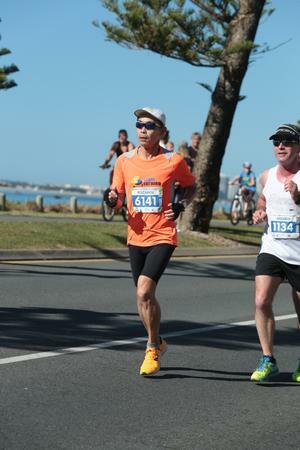 I took an electrolyte tab and began planning to sustain for a time close to my previous PB of 3:25h set in Sydney 2015. If I could sustain 4:45min/km pace all the way, I stood a good chance of breaking PB with some buffer to spare in case of any minor issues cropping up along the way. The sun was right in our faces by then as we headed back towards SouthPort where we started. 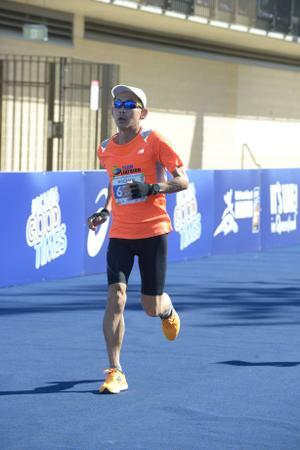 I tried to remain focused and continued executing my race and hydration plan. 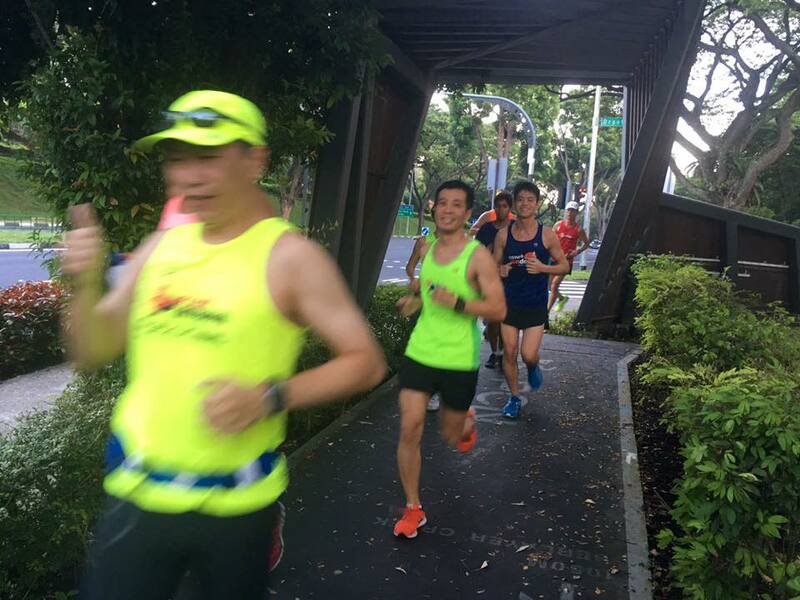 I reached 25km, and then 28km, still able to maintain the good pace without feeling too much fatigue. It was a great feeling when we ran past SouthPort start point at approximately 31km mark to loud cheers and screams of support from the highly-charged spectators and supporters. 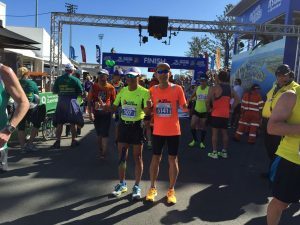 When we entered the final 10km stretch at the challenging northern leg of the race, niggles and twitches of erupting cramps signaled me to low down or risk the consequences. I pared down the pace to 4:55mn/km in the hope of staving off the cramps. A quick mental calculation showed that I was still on track for a sub 3:25h. 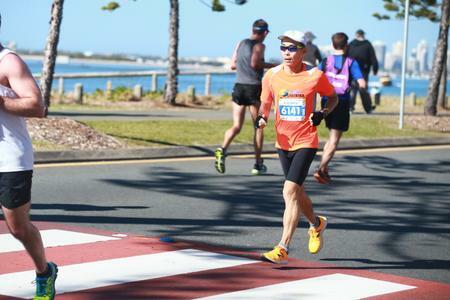 With another gel at 28km earlier followed by an electrolyte tab at 32km, I was able to sustain without too much of a problem till when I hit the 35km mark. That was when my hamstrings started to pull. 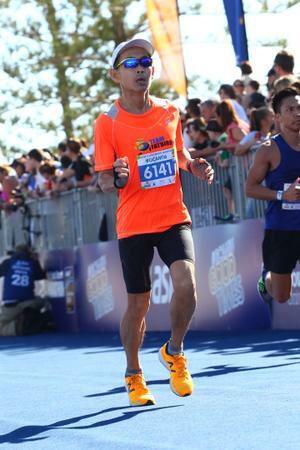 As I adjusted my running form to accommodate the tiring muscles, the cramping moved to my calves and even to my toes. 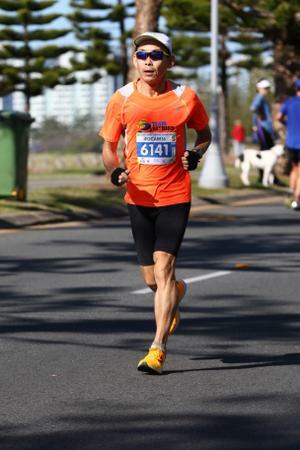 I reluctantly changed to heel-striking to keep my legs straight and the cramps at bay. It worked quite well although my pace slowed a tad, but I was still able to keep running without slowing too much. I crested the final small slope gingerly to avoid any incident, and once I was over that, I picked up some speed and kept pushing on at 4:50min/km pace. 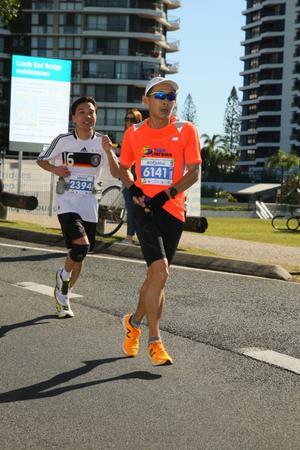 In the final 4km, I was overtaking quite a number of tiring and cramping marathoners, keeping hopes of my marathon PB alive. I was still very cautious about not having the cramps erupt to spoil the show. I ‘whacked’ a final electrolyte tab just to ensure I was able to flow through. With the final 1km, I did a body sense once more, and headed straight along the crowd of cheering supporters for the finish line. 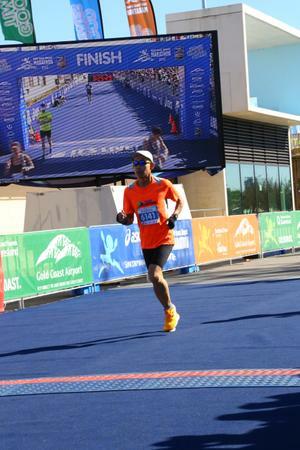 As I approached the final 200m, I could see the clock ticking down to 3:25h. 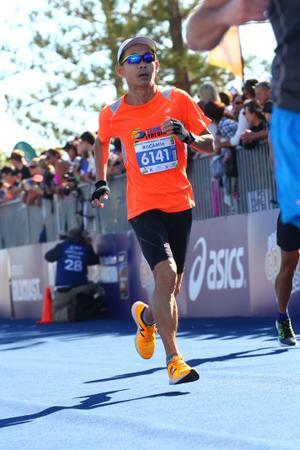 I picked up my strides, overtook 2 more runners, and crossed the finish line in 3:25:29 with a net time of 3:24:49. 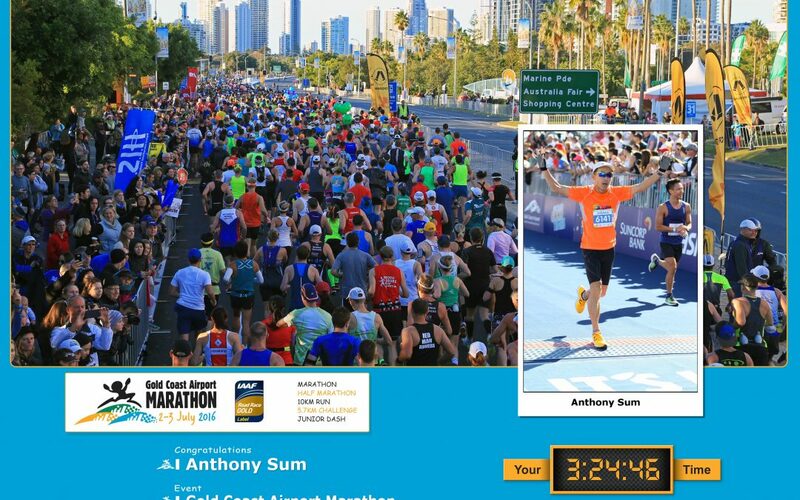 A new marathon Personal Best and Boston Qualifying with nearly 6min buffer! Khim was there congratulating me and helping to take photos. 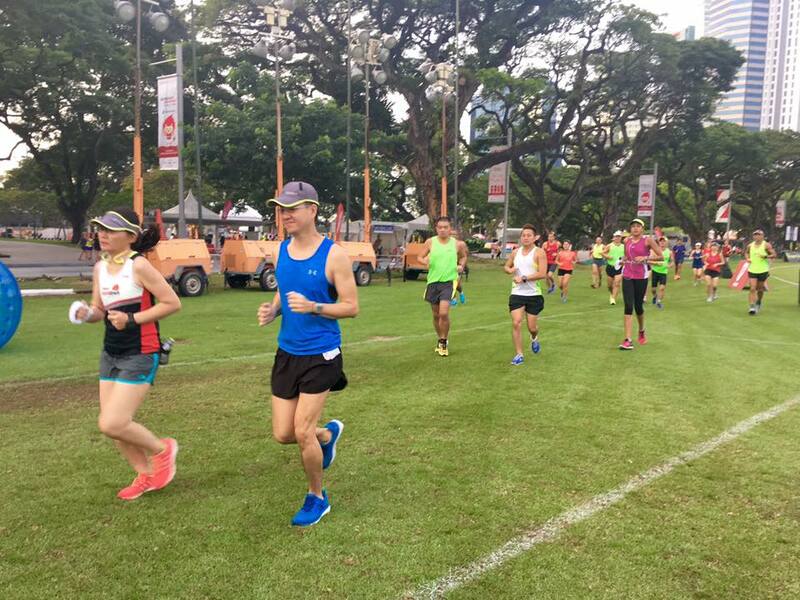 I waited with Khim at the finish chute for a short while more for other Team Singapore runners, and soon saw Yvonne and Han Chee coming in, both with very good PBs and BQ for Yvonne as well. 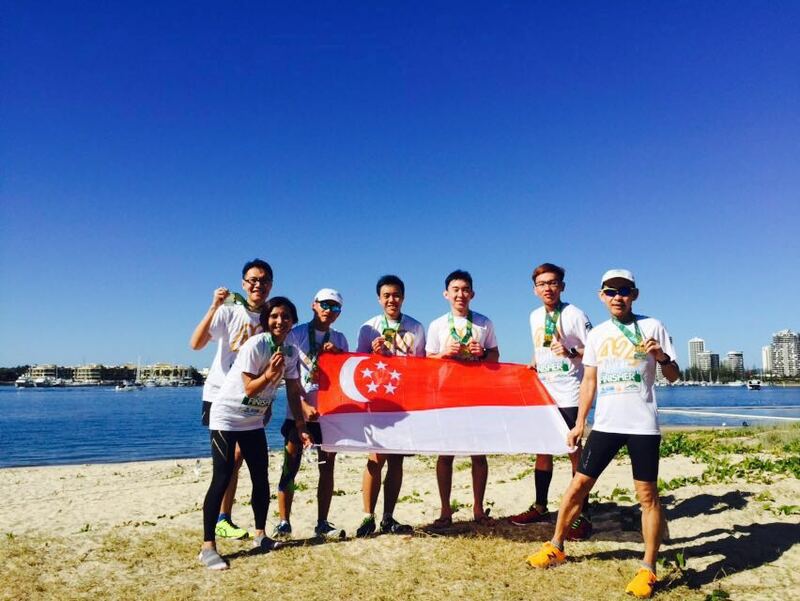 We had some group photos before I proceeded to replenish with some cut orange slices, banana and water, and then collect my precious finisher medal and tee. 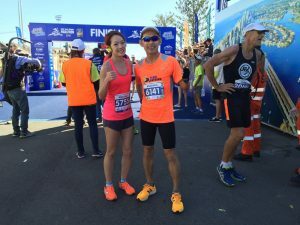 I went back to our hospitality tent to even more good news with many good Personal Bests from fellow FatBirds and Kookaburras (3:18h PB, Han Chee 3:28h PB, ShaoFei 3:44h PB, Pei Ling 3:50h, Annie 3:50h PB and BQ, Kah Yong 4:06 PB, Chan Yiap 4:12 PB, Meng Yuet 4:12 PB, Boon Bee 4:30 PB, Fiona 4:44 PB, Evan 4:45PB, Cher Kong 4:53h PB, Wang 4:53h PB, Boon Sing 5:10 PB, Wee Lin 5:31h PB and many more). 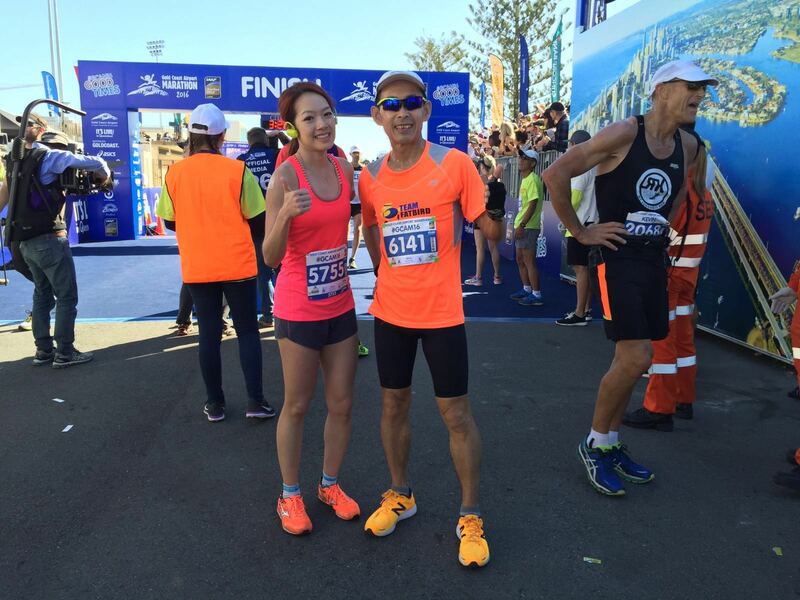 Then there are the Half Marathoners and 10km (Nan’s team, Hendry) who did very well with PBs as well. 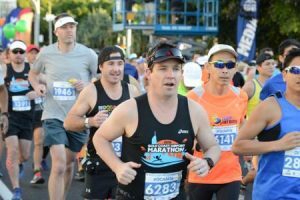 I reckon more than 85% of our runners registered PBs. 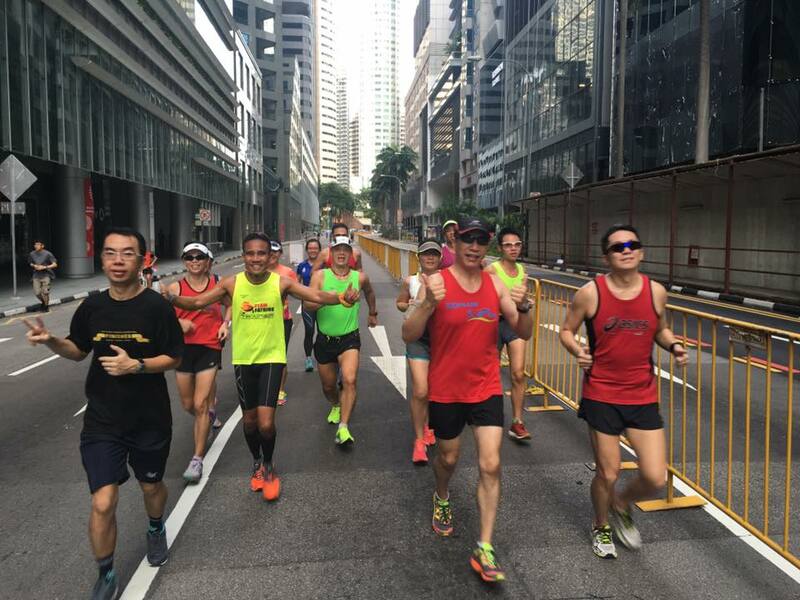 Lots of congratulatory exchanges and sharing of stories and challenges experienced during the run followed. 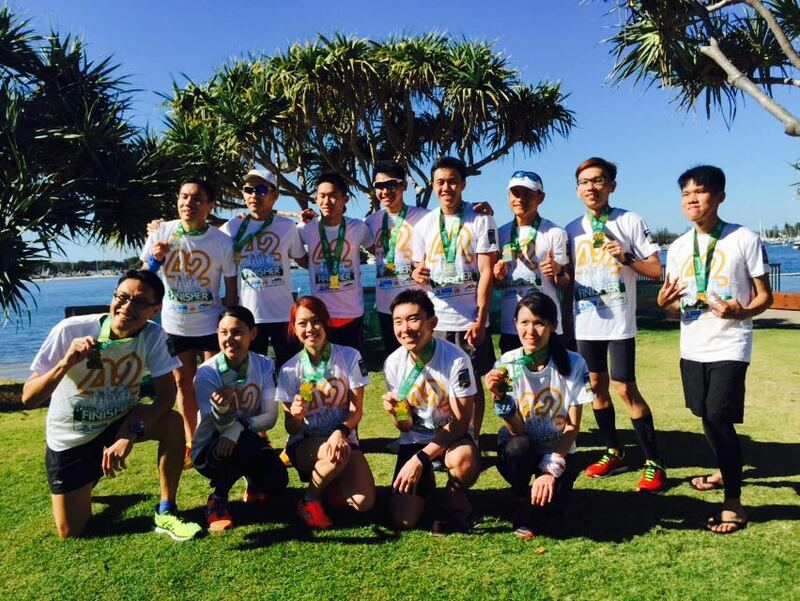 Many group photos were taken of the jubilant runners donning our finisher tees and medals. It was a time for celebration! Many were overcome by feelings of relief and satisfaction, a great sense of achievement, that all the hard work we have all put in over the past many months was well worth it. 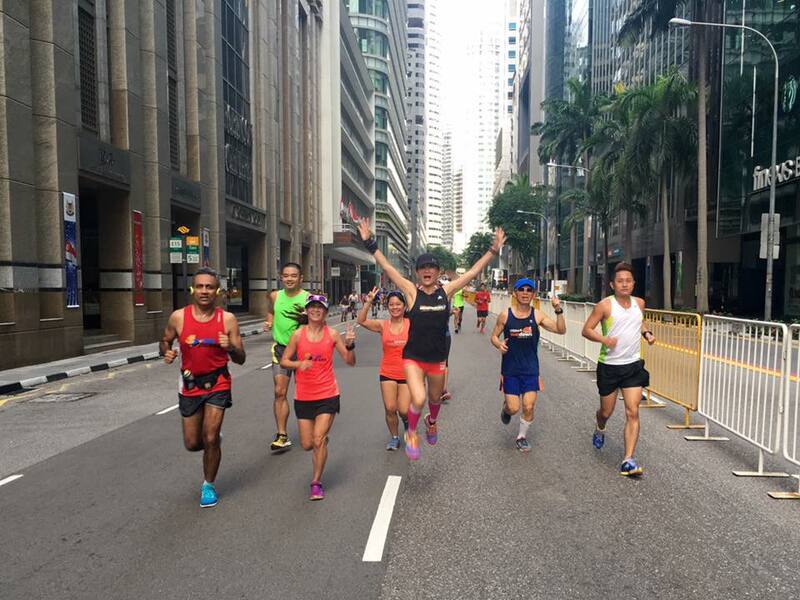 We trained, raced and celebrated as a team! 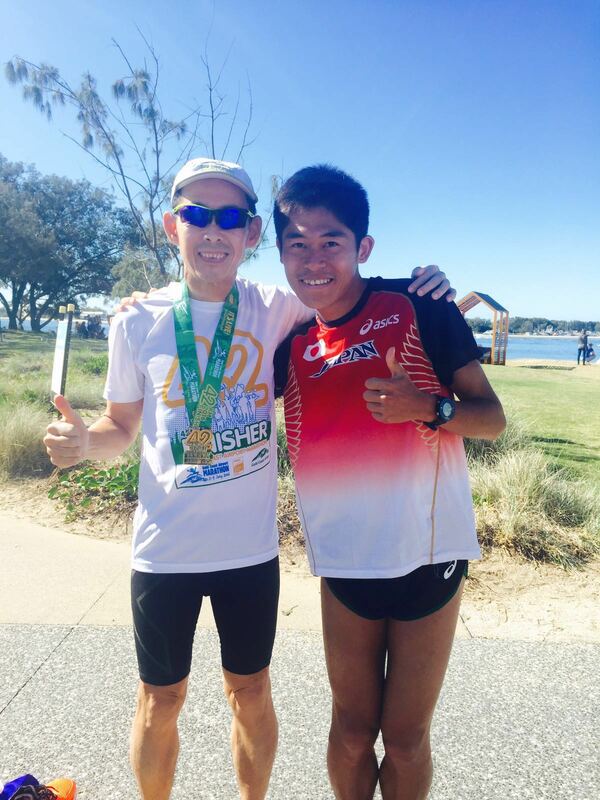 I would like to take this opportunity to congratulate all FatBirds, Kookaburras and Singapore runners for your outstanding race execution and results at GCAM16. For those who just missed their targets, I would encourage you to come back again next year with even better preparedness to achieve your dream timing. 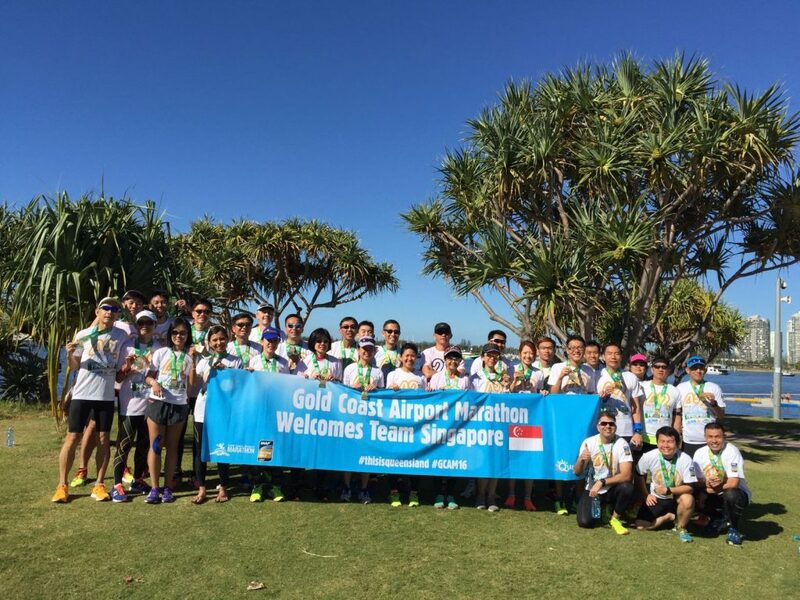 I would like to commend GCAM organizer for putting together this wonderful race experience, so worthy of it being IAAF Gold Label certified. 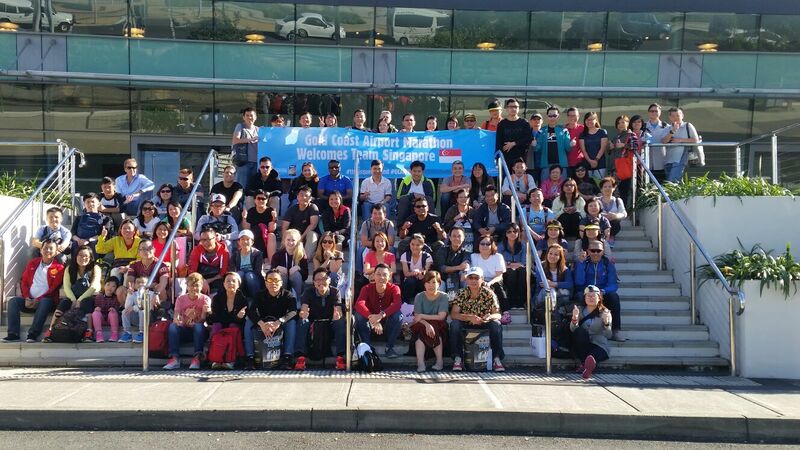 Finally, special mention must be made to TEQ and Scenic Travel for their strong support and smooth facilitation for the Singapore contingent which made our trip to GCAM such a highly enjoyable and fruitful one. Run Kookaburra, Run Kookuburra, Gold Our Race Have Been!